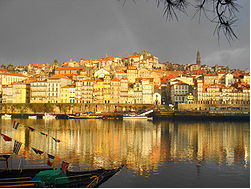 You knew the name Portugal was born in riverside area of Porto and Gaia. The Port City, gave its name not only to the Wine Country as well as to the origin comes from the harbor town, located in what is now Riverside, Portus Cale. Word derived from the Roman and appears in the mid V. century. Later in the seventh century, the city came to Portus, and Portuscale the country, therefrom the origin of the name of counties or county Portucalense Portuscale, and therefrom the origin of the name Portugal. The Douro River, is derived from the Gold River, has always been vital to the development of the entire region of Porto, over time The city of Porto is known as the City Invicta, a city that was never conquered, is known worldwide for its wines, its bridges and ancient and contemporary architecture. 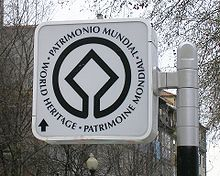 Is historic center, where we are located has been classified as World Heritage by UNESCO. The Apartments above Douro are located in the Douro center of it all. We invite you to make us a visit at any time of year, come and enjoy... make your reservation now.